Monopoly Deal is basically Monopoly, the game you know and hate, in the form of a card game, which you will come to love. 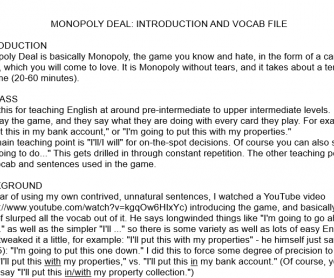 It is Monopoly without tears, and it takes about a tenth of the time (20-60 minutes). 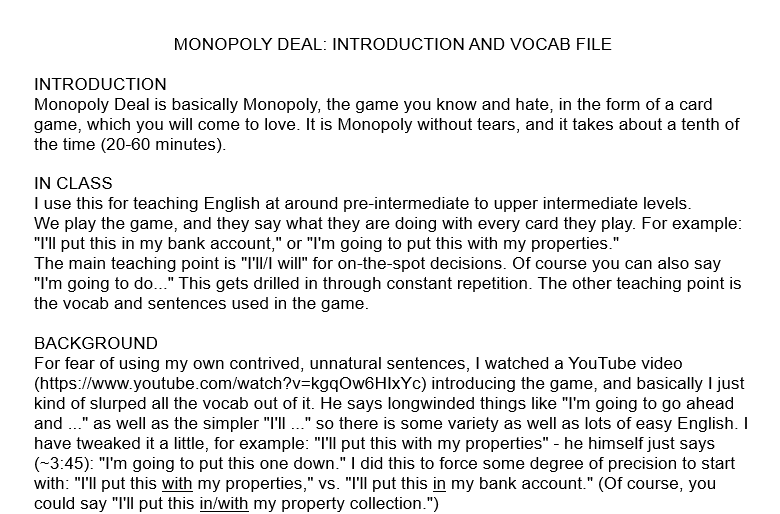 This is an introduction to using it in your classes (1 page) and a list of vocab/sentences (this will shrink to 1 page if you format it as two columns). Best for pre-int to upper int, but ok for elementary (if you introduce it slowly).